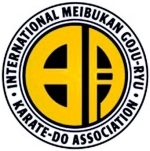 Back In The Gi » Blog Archive » Academia vs. karate, part three: everybody gets nervous. Academia vs. karate, part three: everybody gets nervous. I’m not sure if it’s really the “number one fear”, but certainly it’s true that most people dislike speaking in front of a group. Some find the mere prospect of public speaking terrifying and avoid it altogether. However, if one wishes to pursue a career in academia (or law, or business, or politics, or entertainment, or many others), avoiding the spotlight entirely is not an option. As a professor, I speak in front of a crowd several times per week. Sometimes it’s a small crowd, maybe just the graduate students in my lab, and sometimes it’s several hundred students in an introductory biology class. I also present at various conferences, give seminars at other universities, and deliver public talks at various times during the year. My first year biology course, in which I speak in front of 600 students for an hour twice per week. On occasion, I have been asked how I manage to speak in front of an audience without getting nervous. The short answer is that I don’t manage to do this. I have, however, done it enough times that any nervousness is something I can control and does not affect my presentations (hence the question from students). It’s more a matter of suppressing or hiding nervousness than it is of not feeling nervous at all. 1. Everybody gets nervous. I sometimes tell my students about a time when I was part of a small group of speakers at a symposium in Europe, which included a number of very well-known scientists (and me, and I was quite junior then). Before the symposium started, some of the other speakers were lamenting the fact that their talks were not scheduled until the afternoon, meaning that they wouldn’t be able to relax until late in the day. “You guys get nervous?”, I asked, surprised. “Of course,” they said, “every time. If you care at all about doing a good job, you can’t help it.” Now, these were top-rank scientists who had given countless presentations in their careers, and they still did not go into a talk without at least a twinge of nervousness. I figured that if these guys still got nervous, this meant that one could never hope to completely eliminate the fear of public speaking, only to keep it under control. 2. Practice helps, but numbness helps more. No doubt, practising public speaking can help in terms of developing some skills and confidence, and this can translate into less stress in advance of a talk. However, for me there was another effect once I started teaching, which I think has been much more significant. That is, that the body simply can’t maintain a stress response over the span of an entire semester with 2 or 3 lectures every week. One becomes numb to the sensation of fear. Moreover, the fact is that even if one lecture goes badly, you will be giving another one a few days later. And another one after that. And another one after that. And so on, week after week. 3. If you know you can wing it if you have to, it’s much easier when you’re prepared. Once, early after I started teaching, I was asked to give a seminar at another university in the United States. In that department, the graduate students were required to attend the research seminars and to write a report about them. As part of this, my host asked if I would be willing to go to a graduate course before my seminar and interact with the students. What he didn’t mention was that the regular instructor of the course would not be coming — it was just me. So, I basically gave an impromptu hour-long lecture about some topic or other that they were working on as a class, and it went fine. After that, I realized that I can wing it if necessary, which makes it even easier to handle speaking when I am actually prepared. 4. Most of the pressure is self-imposed. If you are in a rock band giving a concert, it’s unlikely that the audience bought tickets in the hope that you will mess up during the performance, and even if you forget some of the lyrics partway through a song, they probably won’t even care. 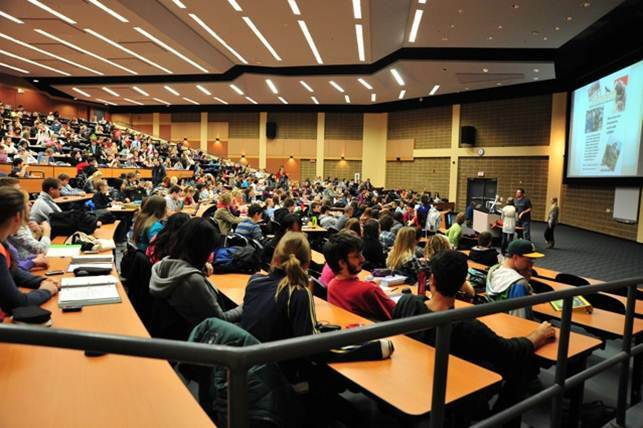 Likewise, students who attend a class or audience members who come to a seminar are hoping you will do well because they want to enjoy the seminar and learn from you. Also, they are not expecting perfection and will probably overlook minor glitches anyway if they’re interested in what you have to say. Any expectation of giving a perfect performance is your own, not the audience’s. 5. It is much easier to speak “down” than “up”. Not physically in terms of direction, but in terms of rank or level of expertise. 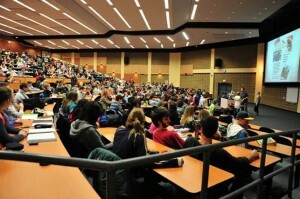 If you are giving a lecture to undergraduates, you can be sure that you know a lot more than they do about the subject. This is much easier than, say, giving a seminar to one’s peers or to an audience that includes people with more expertise or higher rank. Add in some additional pressure to do well (for example, a seminar given when applying for a job), and you ratchet up the stress considerably. Since most of my public speaking these days is “downward”, this helps to keep the nervousness to a low level, especially if I am speaking on a subject about which I have significant expertise. Turning now to karate, I think each of these applies to performing kata in front of others, be it in class, at a tournament, as part of a demonstration, or during a grading. You may be able to perform a kata very well on your own (and you may give a great talk to an empty room), but there is an additional component when doing it in front of others, especially if most of them hold a higher rank. I am speaking from experience here, having recently botched a kata performance due to speeding it way up as the adrenaline took hold. Reflecting on the experience afterward, I realized that it was the same thing that often happens to students when they start giving talks and that I had forgotten what that was like for the reasons given above. But, in this new context, I was the same as a graduate student giving her first conference presentation. Recognizing the connection has already helped, and it also indicates clearly what I will need to do. The short answer is that I will always be at least somewhat nervous performing a kata in front of others, but I know that this can be brought under control. And for the record, I would much rather give the eulogy.